What draws me to study Scaravelli Inspired Yoga in particular is the sense of freedom, of flowing movements, of effectively releasing tension, of the attention to refinement and the sense of really inhabiting my body, connecting everything to be moved holistically. It almost feels poetic. The sometimes subtle movements in this yoga are a true moving meditation connecting to your bodies wisdom, allowing it to find its own dance, its flow, this helps you to feel peaceful, forgetting about the stress of daily life, enabling your body to heal itself, unwinding, changing habitual patterns that aren't helpful, releasing tension, and releasing traumas which are stored within the body. Yoga is about momentarily quietening the mind, stilling the constant chatter that persists in our thoughts in order to go internally and have a moment of calm where we need not worry or stress. 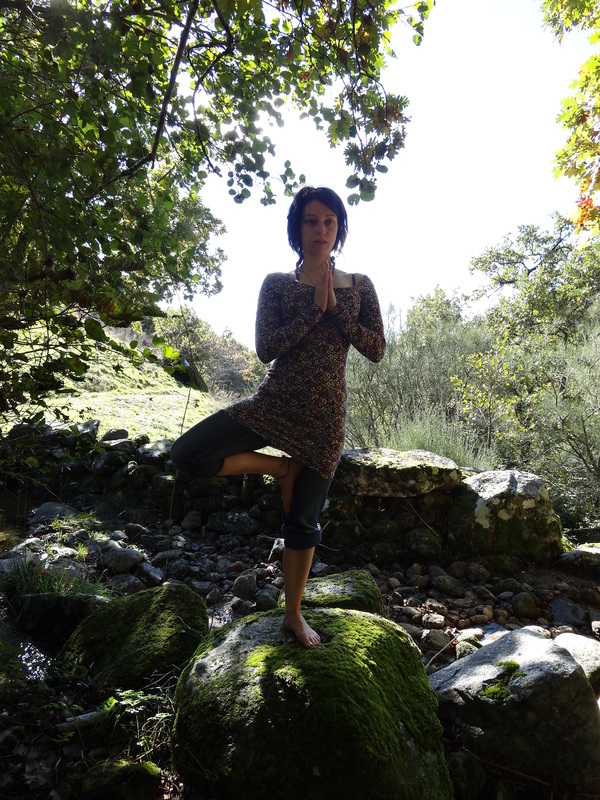 Yoga is about communing with “the divine”, energy consciousness, or our higher-selves. It is about becoming connected with everything around us, so that we all feel part of the same whole, by uniting our body, mind, breath, spirit and heart. If we are able to be fully connected in this way to ourselves and the universe, enabling us to work together, respond holistically to events and limiting selfish egocentric ideals, we are able to find and fulfil our true potential and work for the greater good. As such the word yoga means to unite, connect and harness. It is not constrained by any religion or dogma and can be practised by anyone. Yoga can be thought of as a state of being, rather than a thing to do, this is why there are so many different forms of and paths to yoga, as each person resonates with a different style, pace, teacher. All of them are trying to take the practitioner to a yogic state - a state of feeling calm, unified with the mind, breath, body, emotions and spirit. What makes yoga different from general exercise is that you are focused, you are quiet, you are aware of sensations arising in your body, in your emotions and you are there with these sensations. 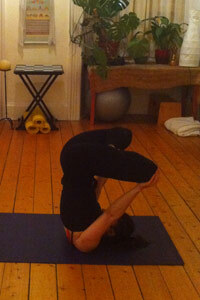 - "Asana helps to create lightness in the physical body & correct imbalances in the physiological body. - Meditation can inspire the intellect and engage the mind. 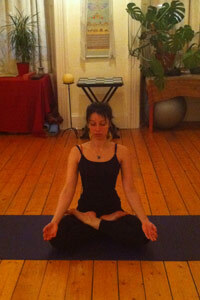 - Pranayama keeps the mind busy. - Chanting Mantra has an effect on all layers." Lesley Kaminoff explaining the importance of awareness whilst doing Yoga. As TKV Desikachar says: "Without awareness there is no Yoga"
"We are frequently heedless of the clutter of thoughts and feelings that crowd our minds from one moment to the next. Of the thousand thoughts that flit through our minds every hour, we are aware only of some, we act on a few, and we drift with the rest. Many find it difficult to discipline the unhealthy longings of the body. To eat less or exercise more, for instance, requires a feat of will. And even for those of strong will and consistent discipline, mastering the mind is a harder quest by far. The goal of classical yoga is to discipline this scattered mind, to turn it from wayward rambling to focused concentration." 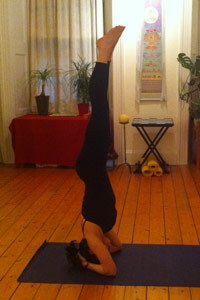 Yoga works on a physical, emotional and mental level. The classes are open to any level. Please feel free to come along and try out a class and see if it’s for you. Yoga is a very personal thing and it is a good idea to “shop around” to find the teacher and style of yoga which is most suited to you.